Plans are in the works for an even stronger partnership between Fresno Unified's Design Science Early College High School and Fresno City College. Design Science is one of the district's specialty high schools, providing students an opportunity to concurrently enroll in Fresno City College and graduate from high school as college sophomores. Discussions between the district and leaders at the college and State Center Community College District include developing a permanent home for Design Science Early College High School on the Fresno City College campus. The school is currently housed in portable buildings east of the college across Blackstone Avenue on Cambridge Avenue. "Design Science has done a tremendous job encouraging students to tackle college-level work and graduate highly prepared for college and career. Expanding our partnership with Fresno City College and State Center Community College District will provide even better opportunities for our students," said Superintendent Michael Hanson. Fresno Unified, college and State Center officials are working on a memorandum of understanding with details about location and funding. Design Science, which opened its doors in 2005, is no longer the district's best kept secret, with a waiting list already for the 2017-18 school year. Students are introduced to courses at Fresno City College beginning in the ninth grade. Tenth grade students take approximately 10 units of college coursework. 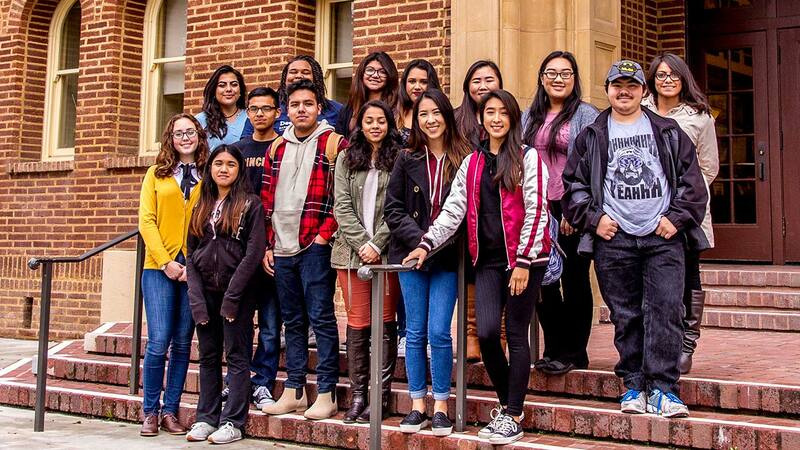 By the time students are in 11th and 12th grade, they are taking 11 units of college coursework at Fresno City College and have the option of earning associate of arts degree by the time they graduate from high school. Students enroll in courses listed on the Fresno City College UC Doorways list, considered honors courses for Design Science students. The school, with an enrollment of 237, has a 100% graduation rate, with 94% of graduating seniors offered admission to a four-year university last school year. Eighty-six percent of students last year were first-generation college students. Of the current graduating class, at least half have already received admission offers to a four-year university. The class of 2017 includes two National Hispanic Scholars, with one admitted to Princeton on a full-ride scholarship; a semi-finalist National Merit Scholar; the school's first international admissions offer, to University of Glasgow; and five are on track to receive their associate of arts degree by the time they graduate from high school. Design Science Early College High School students gather at Fresno City College, where they also take classes. Back row, left to right: Gloria Martinez-Guzman, Jackson Whittle, Melissa Munoz, Destany Leon, Chao Vue, Alina Xiong and Cynthia Flores. Front row, left to right: Tayah Kirshchenmann, Jenny Manivong, Misael Campos, David Lopez, Vanessa Magana, Cindy Her, Madelyn San and Logan Chase.